Join us this Saturday (July 15th, 2017) for Vacation Bible School!!! Join us as we study "Animals in the Bible". 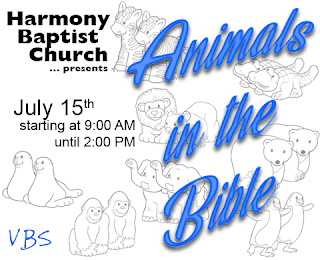 From the Old Testament to the New, animals have been a part of many great lessons in the Bible.